“A designer knows he has achieved perfection not when there is nothing left to add, but when there is nothing left to take away.” The Specialized Evade Tri might be the helmet-themed example of this old maxim, penned by a French aviator and novelist almost a century ago. 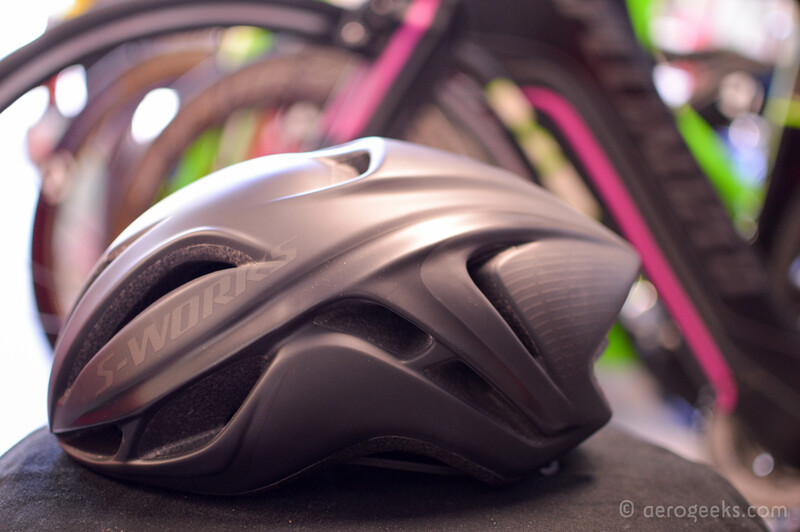 We’ve been riding it for a while, now, and when it comes to an aero road lid, we think Specialized may have managed to hit it out of the park not by adding features, but by taking them away until there was nothing left but the Evade. The Evade Tri does not have a visor or docking system for your sunglasses. There are no vents to open or close. In fact, there is nothing to manage about the Evade Tri at all. It goes on your head, it’s surprisingly quick, and that’s it. The most complicated part of the whole thing that you have to deal with is the magnetic strap closure. However, there is quite a bit of engineering and elegance that’s hidden in that simplicity, as well. After all, the McLaren partnership that brought the S-Works TT helmet (3, and now TT4) to life is the direct-line progenitor of the Evade. Specialized claims a savings of 46 seconds over 40km versus a standard road helmet—a mere 20 seconds slower than the latest, fully-fledged (and more expensive) McLaren/S-works TT. While the Evade accomplishes this with vents that are as good or better than a standard road helmet, keep in mind that these results are also with no ear covers or a long tail. We think that’s no small feat. There are plenty of faster helmets out there, make no mistake about it. The thing is, most if not all are proper TT helmets, and a TT helmet is no match for the Evade’s cooling ability on a long training ride, or a midsummer race day. 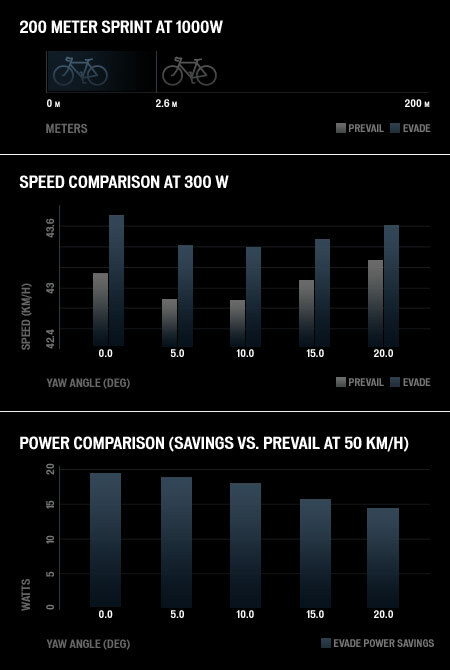 By choosing to race an aero road helmet, even an Evade, you are “leaving speed on the table” in comparison. But not all of us want, or can afford, to own a helmet that we take out a handful of times a year. Instead, we make the trade off of training with the same lid we race in. So for those who need and want the do-it-all helmet, the Evade covers all of the bases and gives up shockingly little to those who chose the single-purpose entrant in a given category. The Evade wasn’t the first to market in the “aero road helmet” category. But it might be argued that this doesn’t matter; the Evade has truly become the benchmark of the category. 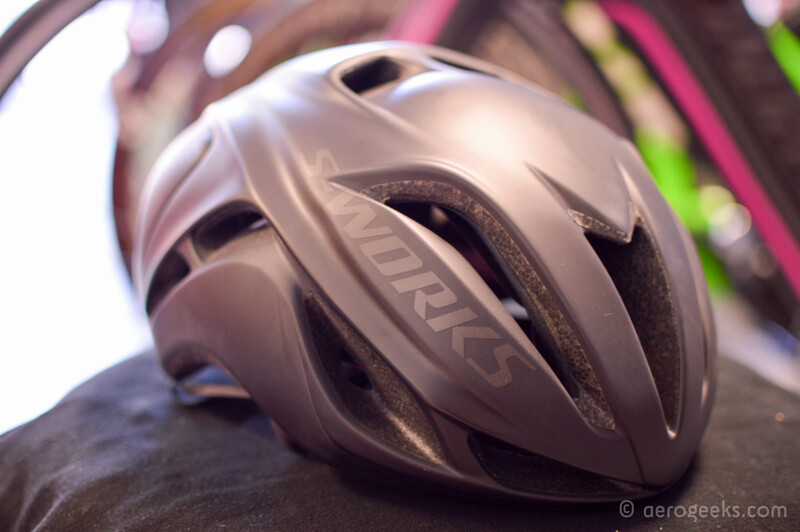 Specialized’s Evade has become the de facto standard for an aero road helmet, and that tells you everything you need to know, really. 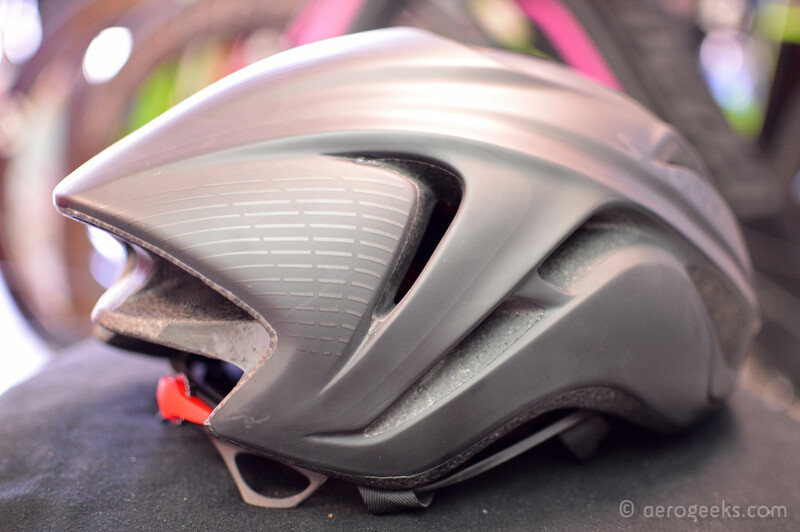 What the Evade does so well is to be a helmet that’s so fast, so cool, and so easy to get right that you don’t have to think about it – which is why we’ve come to love it.